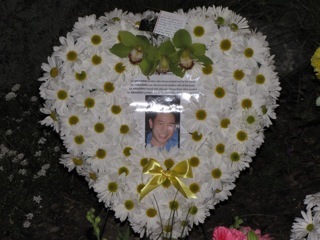 Jon Cassidy, in the Orange County Register this afternoon, reports, HERE, that the investigation by Talon Executive Services into the death of Costa Mesa maintenance worker Huy Pham on St. Patrick's Day this year confirmed that it was, in fact, a suicide. According to Cassidy, the twenty-two page report quotes Dr. Sean Enloe of the Orange County Coroner's Office as stating that Pham did, indeed, either took a running start or dove from a standing position. He concluded that Pham had not been pushed from the roof of City Hall because he would have landed closer to the building. You will recall that Pham was called to work to receive his six-month layoff notice while he was home recuperating from an injured foot caused by a non-work related accident. P ham never reported to work, but went directly to the roof of City Hall using keys provided as part of his job and leaped to his death shortly after 3:00 on March 17, 2011, landing adjacent to the east side employee entrance. That event was the exclamation point on what may have been the single darkest day in Costa Mesa City history, with more than 200 employees receiving notice that their jobs may be going away due to outsourcing in six months. The turmoil that has been pervasive throughout City Hall and other employee venues since that date has been palpable. 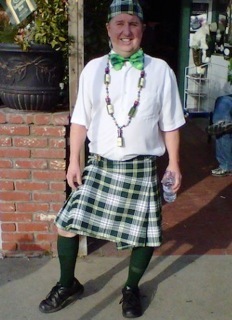 The heavy-handedness of that day was further amplified when Mayor Gary Monahan, rather than come to City Hall to oversee the handling of that tragic situation, instead chose to remain in his kilt at his pub and pull beer taps on what he described as "the biggest day of my life". Sadly, it was the last day of Pham's life. It is very possible that Monahan may have greased the skids to the end of his political career in this city with his insensitivity and callous disregard for the seriousness of the moment. Unfortunately, as you read Cassidy's report you will find that the investigation ripped open Pham's life for all to see. It includes references to interviews conducted by management staff which address performance problems that seem to contradict earlier reports about his stellar performance as an employee. It also paints a picture, in my view, of a troubled young man. There is no indication in the Register report that Pham sought the counseling suggested by members of management. Sadly, the toxicology report issued earlier indicated that Pham had residue of cocaine in his system at the time of his death although reports at the time indicated he was not a drug user. One sentence of not e in the Register article says, "After the suspension last fall , Pham was switched off a four-day, 10-hour schedule; no more incidents are noted in his personnel file." This will only add fuel to the fire already ablaze on the City Council to shift every employee to a 5-day, 8-hour schedule because "that's how businesses do it" - regardless of how that might negatively impact service to the public. Let's now hope that Pham can rest in peace and that his family and friends can move forward with their lives with some closure about how he died. It's just a shame that the city, the employees, his family and friends had to be put through more months of questioning and uncertainty unnecessarily. It's a shame, too, that this City Council has such distrust in the Costa Mesa Police Department - a fact affirmed by CEO Tom Hatch during a meeting with members of the CMPD a couple months ago - that they felt compelled to retain Talon Executive Services for this expensive, tumultuous and apparently unnecessary investigation. Whether or not there are plans underway to create a de facto bunker on the 5th floor of City Hall, as has been widely rumored recently, this council has created a bunker mentality in the City and we, the residents, are not being well served by it. At the last Council meeting, it was astute of Terry Koken to remind "He Who Abdicated the Mayorship To Righeimer" about Huy Pham. After his vicious attack and attempted prior restraint against Mr. Koken at the meeting before that, it looked like Monahan was starting to think he was a leader or the actual mayor of Costa Mesa again. I've stated my theory before about Monahan on 3/17/11: I'd bet that the Riggmarshal ordered him to stand down (stay at his bar), and let he (Righeimer) and smirkmarshal Menssy handle the "official" response at City Hall. Why else would the mayor of a city NOT show up for such a major event? And didn't the Riggmarshal appear on radio and TV multiple times immediately after the tragedy? "..Whether or not there are plans underway to create a de facto bunker on the 5th floor.."
The taxpayers will never know how much pressure may, or may not, have been applied to Talon during their investigation, or whether their method of research has any merit whatsoever. To start with, the logic applied in coming to Talon's conclusion was completely illogical. It doesn't even begin answer the many questions residents have. I'm not too sure the city got it's money's worth. With so few actual facts to work with, I certainly hope their report cites more than their just having a hunch. As they say, follow the money trail. Things are not always what they appear to be. Any idea how much it cost taxpayers to CONFIRM the investigation by the CMPD? Wow. I think the report is insightful. When this tragic event occurred, all we heard was how great an employee this kid was, and how awful City Council was. Still Geoof tries to make Manahan an issue, even after an apology. We are now hearing stories about issues with this employee that was very troubled. We are also hearing stories about other employees like Mandoki screwing up the Joint Use Agreement. Not surprising as in any organization you have issues. But if you listen to OCEA we have no issues. The only issues are on council. I think it was money well spent. It will never convince the haters. And Geoof is a hater. I'm sure Talon was under no pressure whatsover. If you read their credentials on their web page, they are akin (according to them) to a mix of James Bond, Jason Bourne, Mcgyver and Chuck Norris. Nice attempt at trying to instil some "reasonable doubt", but it aint gonna work. they were hired to do a job, did that job and came up withe the rsults that I'm sure everyone (even council) expected. The Register article also says the Union and Jennifer Muir do not like the transparency of this report. It cuts both ways Jennifer. Where is the City management on this? I would like to know if his immediate supervisor also has performance related concerns documented in their file. Is his manager the one who assaulted Mensinger? I hear some concerns and whining about outsourcing. Where are those same concerns about in house lack of leadership? Sounds to me as if someone or the managers were doing their jobs, perhaps this tragedy could have been avoided. Or is this blog only a one way conversation from the haters? "although reports at the time indicated he was not a drug user." You mean he wasn't snorting lines in the office? He wasn't shouting for co-workers to join in? Imagine that... I thought all drug users wore badges declaring what drugs they used to the world.